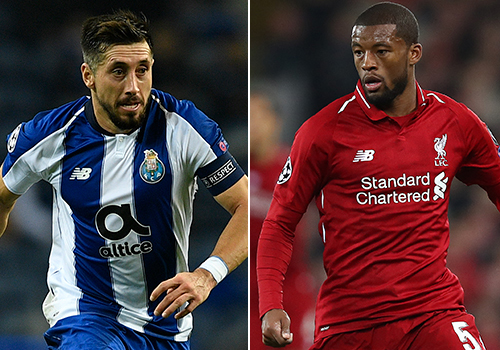 Follow all the build-up, action and reaction as Liverpool face FC Porto in the Champions League with our live matchday blog. 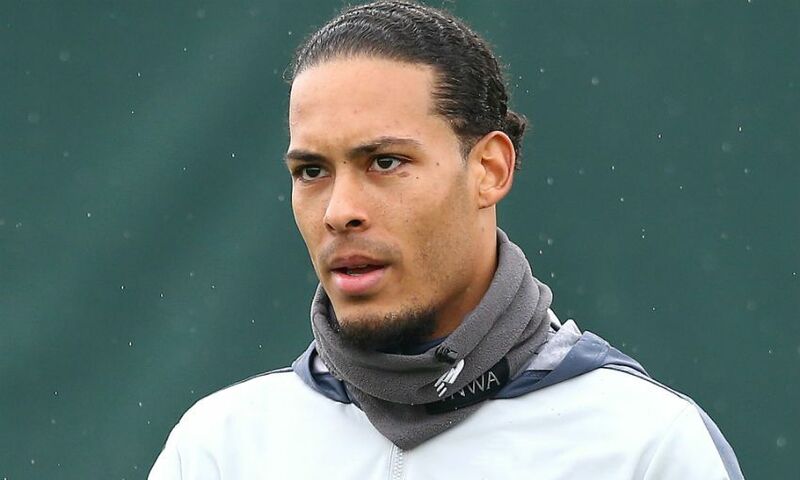 Virgil van Dijk aspires to make history in the final weeks of the season. 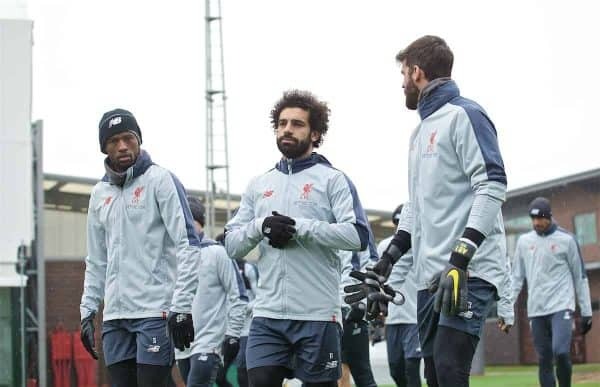 Liverpool remain in contention to win a Champions League-Premier League double as 2018-19 draws to a close, with European matters the immediate priority as they visit FC Porto in the second leg of their last-eight tie on Wednesday. 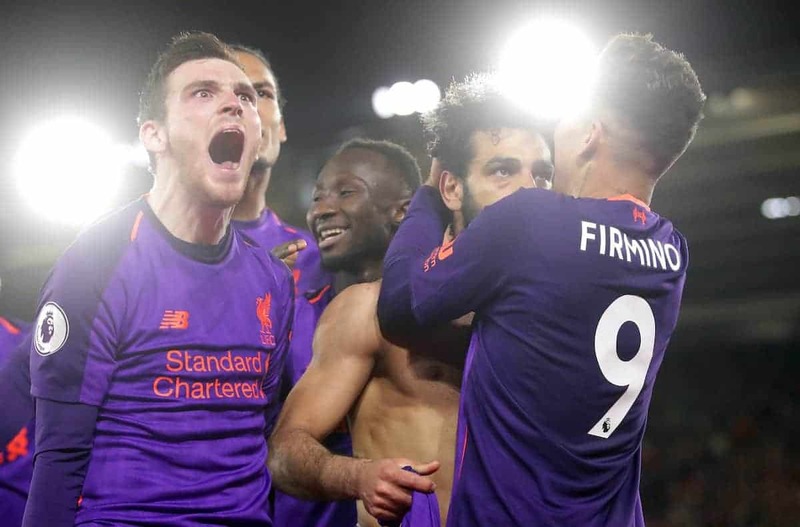 A 2-0 first-leg win at Anfield last Tuesday means the Reds are well-placed to advance to a semi-final meeting with FC Barcelona, while their tilt at the Premier League title continues with a weekend trip to face Cardiff City. 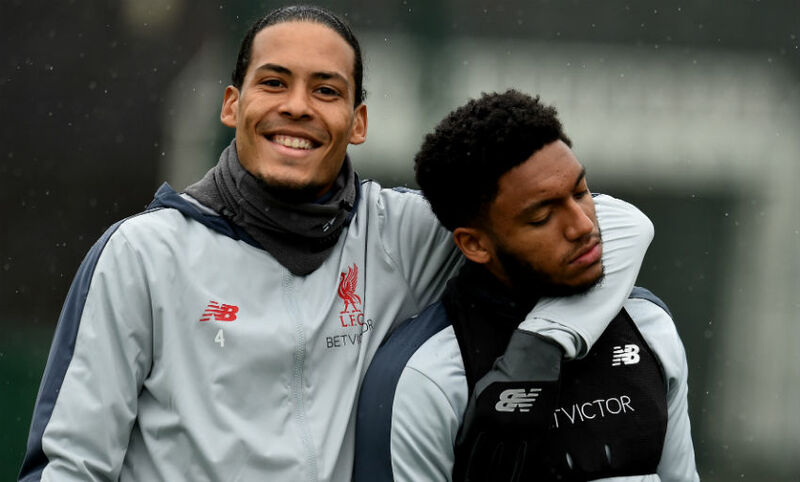 Van Dijk is well aware that winning both major trophies is a tall order - but that does not lessen his ambition to do just that. “It is going to be tough, but it is a great time to be a Liverpool player,” the Netherlands captain said. 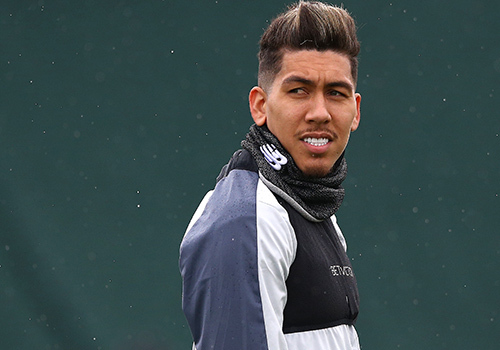 “We have eight games left, fingers crossed, so we have to give it everything we have got. That's what we have to do now, just focus on ourselves, give it everything we have and see where it takes us. 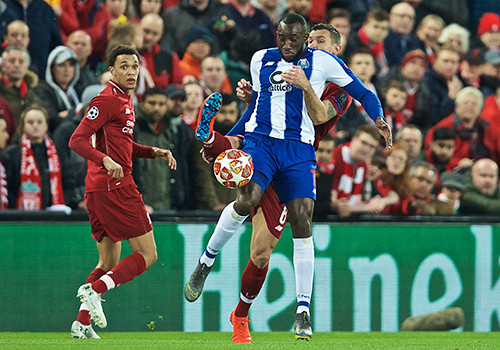 First-half goals by Naby Keita and Roberto Firmino secured Liverpool’s healthy advantage prior to tonight’s clash with Porto at Estadio do Dragao, but Van Dijk is taking nothing for granted in terms of progression in the competition. “We had a good result against them, but it's not over and we know we are going to face an even harder game over here,” the No.4 warned. 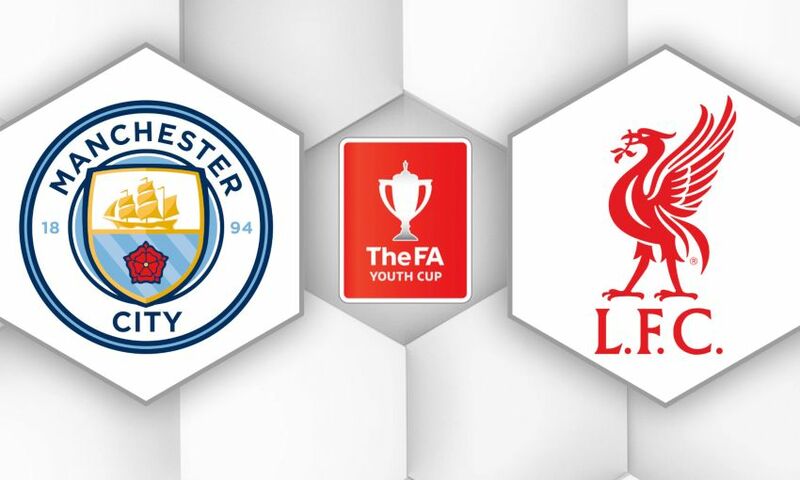 The FA Youth Cup final between Liverpool and Manchester City will take place on Thursday April 25. 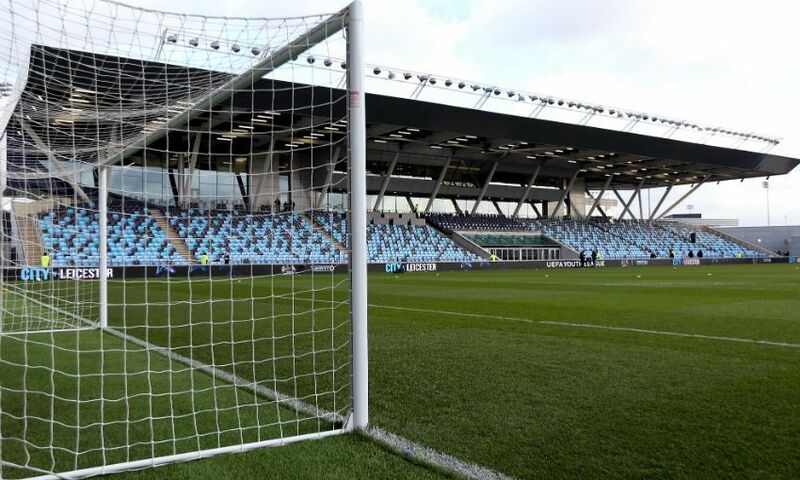 Kick-off at City's Academy Stadium is scheduled for 7.45pm BST and the game will be shown live on BT Sport. After a change in the competition format this season, the tie will be one leg only with extra-time and penalties if necessary. The final is scheduled to kick-off at 7.45pm BST. We have received a total allocation of 729 tickets for this all ticket fixture. Supporters not in possession of a ticket are urged not to travel. Season ticket holders and Members can gain access free of charge but must still secure their ticket in advance. Tickets can be purchased online from 2pm on Wednesday April 17 but only until 1pm on Tuesday April 23. You can also buy tickets from the ticket office from 2pm on Wednesday April 27 but only until 2pm on Thursday April 24. Tickets will be issued on a first come first served basis, subject to availability, and supporters can purchase one ticket per person up to a maximum of 10 tickets per transaction. For ticket office opening times over the Easter period, click here. Liverpool will look to see out the second leg of their Champions League quarter-final tonight after earning a 2-0 advantage back at Anfield last week. Here are the most important facts and stats ahead of kick-off. In Portugal, the Reds have won three of 11 visits. Aside from Porto last season the other two successes came at Benfica in 1978 and 1984 in the quarter-finals, both times seeing the Reds going on to win the European Cup. In those 11 trips to Portugal the Reds have kept two clean sheets—both coming at Porto. Liverpool have never been eliminated from European competition in seven previous ties after winning the first leg at Anfield by a 2-0 scoreline. The Reds have been beaten only once in Europe after taking a two-goal advantage away from Anfield for the second leg—at Inter Milan, controversially, in the 1965 European Cup semi-final, losing 3-0 in the San Siro after a 3-1 home victory. The Reds have won 10 of the previous 14 European Cup quarter-finals—including four wins in the last five at this stage. Liverpool could reach a second successive Champions League semi-final for the first time since 2008. The Reds have not lost a knockout tie in Europe since 2014-15, when they lost to Besiktas in the Europa League on penalties. Since then they have won all nine in which they have featured. Jurgen Klopp has won 16 of 20 two-legged ties in European competition in his managerial career. He has never lost a two-legged tie as Liverpool manager in Europe, winning all nine. The Reds have lost five of their last 11 games in this competition, all outside of England. 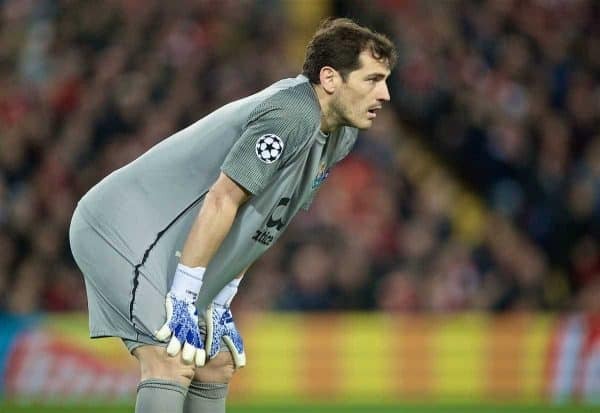 Liverpool have won three of their four penalty shoot-outs in Europe while in all competitions they have won 14 and lost four. They were last involved in a shoot-out in 2016, losing to Manchester City in the League Cup final. Liverpool have progressed five times on away goals in European history, with three of those coming when they have played the away leg second. They last won on the ruling in 2007 when they eliminated Barcelona. In 45 games in all competitions this season, Liverpool have conceded two or more goals eight times. The Reds have only failed to score on six occasions. 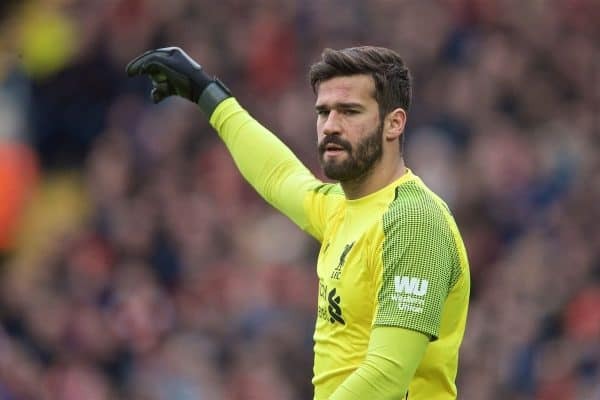 Since his Champions League debut in September 2017, Alisson has kept more clean sheets than any other goalkeeper in the competition, with all nine coming on his home ground: five at Roma and four at Anfield. 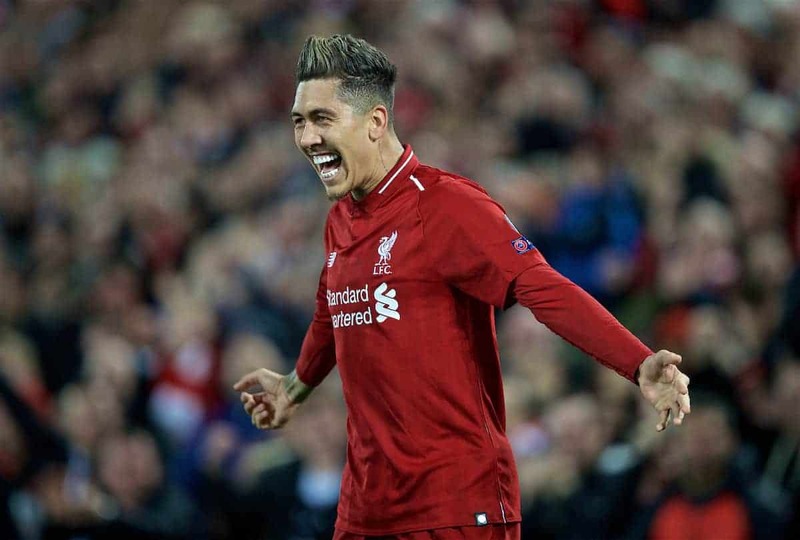 Since the start of last season, only Cristiano Ronaldo has been involved in more Champions League goals than Roberto Firmino, who now has 21 (13 goals and eight assists). Firmino’s goal in last week’s meeting was his 15th in Europe for the Reds, one more than Mo Salah and two more than Sadio Mane. Liverpool are unbeaten in their last 16 games since going out of the FA Cup at Wolves in January, winning 11 and drawing five. Liverpool, in six of the last nine games, have scored at least one goal in the final 10 minutes. 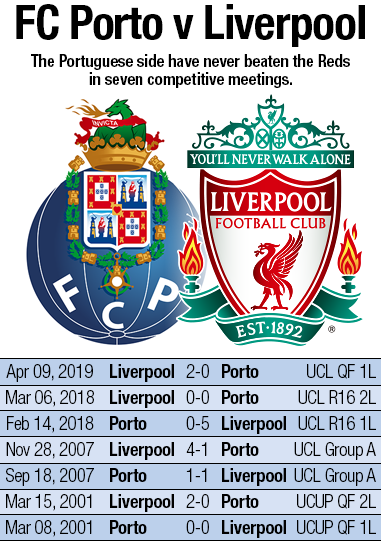 FC Porto have never beaten Liverpool in seven competitive meetings, drawing three and losing four. They have not scored against Liverpool in the last three encounters. Porto have won all four Champions League games at home this season, defeating Galatasaray (1-0), Lokomotiv Moscow (4-1) and Schalke (3-1) in the group stage and Roma 3-1 in the last round. Porto have suffered defeat in four of the last seven home matches against English opposition. They have lost all four UEFA Competition ties when they have lost 2-0 away from home in the first leg. In their last two home games against English teams, Porto have beaten Leicester 5-0 and lost 5-0 to Liverpool. They have been awarded six penalties in their last 10 games. Liverpool: Salah 22, Mane 21, Firmino 15, Milner 6, Shaqiri 6, Sturridge 4, van Dijk 4, Origi 3, Keita 2, Wijnaldum 2, Alexander-Arnold 1, Fabinho 1, Henderson 1, Lovren 1, Matip 1, own goals 3. Porto: Tiquinho Soares 19, Marega 18, Brahimi 12, Herrera 9, Adrian 6, Alex Telles 5, Jesus Corona 5, Otavio 6, Aboubakar 4, Eder Militao 4, Felipe 3, Hernani 3, Andre Pereira 3, Danilo Pereira 2, Fernando 2, Sergio Oliveira 2, Pepe 2, Bazoer 1, Diogo Leite 1, Maxi Pereira 1, Mouandilimadji 1, Oliver Torres 1, own goals 2. All stats courtesy of LFC statistician Ged Rea. 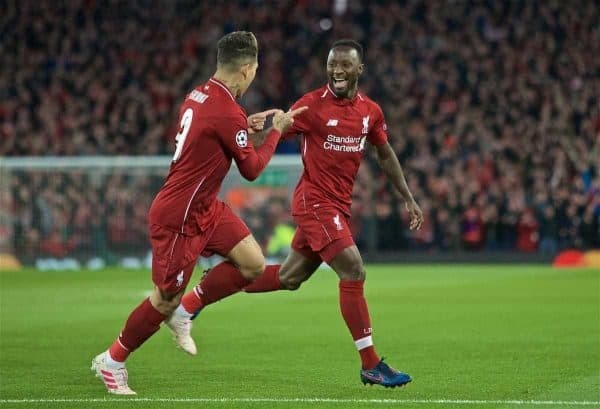 The Reds take a 2-0 lead to Portugal after goals from Naby Keita and Roberto Firmino secured victory in the first leg at Anfield. Jürgen Klopp's men won 5-0 at Porto in the last 16 of the competition last term and Liverpool are unbeaten in seven meetings with Os Dragoes. Suspended for the first clash at Anfield, veteran centre-back Pepe is expected to return to the heart of Porto's defence and brings a wealth of experience with him. The 36-year-old defender collected three Champions League winner's medals during a decade at Real Madrid and won Euro 2016 with Portugal. Signed from Besiktas in January this year, he's already played 17 games during his second stint with Porto, with whom he won the league title in 2005-06 and 2006-07, becoming one of the mainstays of Sergio Conceicao's side. Renowned for his tough tackling and physical approach to defending, he'll have to draw on all his know-how to deal with Liverpool's pacy and fluid front three. 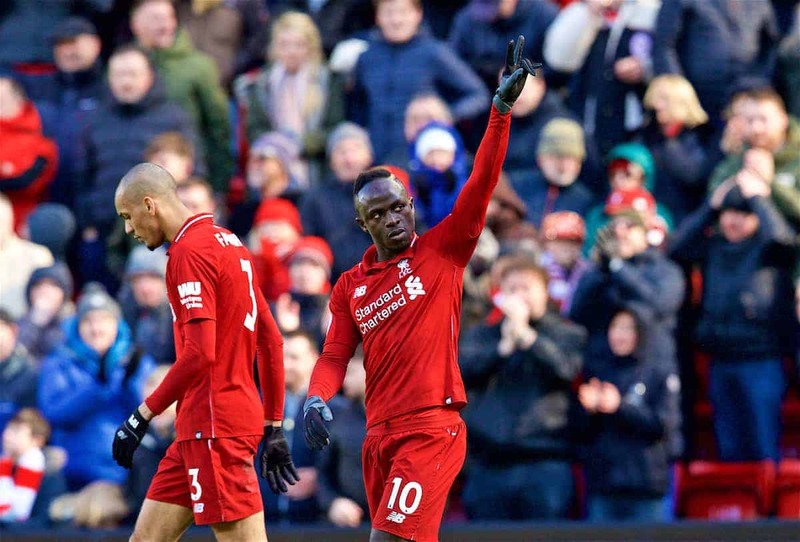 Sadio Mane scored a brace in Liverpool's last European away game - a 3-1 win at Bayern Munich - playing in a more central attacking role and will be Pepe's chief tormentor if deployed similarly on Wednesday. The Reds No.10 scored a hat-trick the last time he stepped out at Estadio do Dragao and is in particularly good form heading into this match, having scored 12 goals in his last 15 appearances across all competitions. Fleet-footed, excellent with the ball and relentless, Mane has everything required to trouble any defender in the world and has emerged as one of Liverpool's clutch players this season. Captain Hector Herrera was suspended for the first leg at Anfield and his forward runs and ability to shoot from long range was a big miss for the visitors. He may not get the headlines of star players like Yacine Brahimi and Moussa Marega but the deep-lying midfielder is a vital cog in the Porto machine and no teammate has made more appearances than the 28-year-old this season. Likely to feature in a double pivot alongside Danilo Pereira, he will also be tasked with getting forward and has chipped in with eight goals this campaign - only forwards Brahimi, Marega and Tiquinho Soares have more. Lining up in opposition to Herrera could well be Georginio Wijnaldum, who came off the bench during the 2-0 win over Chelsea on Sunday but has been a mainstay of Liverpool's midfield this term. Able to operate in either an attacking or defensive role, he has the tools to deal with Herrera's box-to-box style and also pose a threat of his own. The No.5 played the full 90 minutes of Liverpool's last European away match at Bayern Munich and set up Mane for the opening goal of the 5-0 win the last time the Reds visited Porto. Able to play anywhere along the right flank, Jesus Corona operated more as a wing-back in the first leg at Anfield but should be restored to his more familiar role as a winger for the home leg. The 26-year-old Mexican international provides a key feature of Porto's quick attacks - along with Brahimi on the opposite wing - as the wide men like to carry the ball into more central channels and allow the full-backs to overlap. More than happy to deliver a cross from out wide too, Corona leads the team with 14 assists this season and has also chipped in with five goals. Looking to cut out the supply line from the winger will likely be Liverpool's Andy Robertson, who was suspended for last week's clash. Recently dubbed the best left-back in the country by defensive partner Virgil van Dijk, Robertson leads the Reds with an average of 2.3 tackles per game in the Premier League this season. But the Scotland international is equally adept when going forward and his 11 assists in all competitions this term is more than any other Liverpool player. It will be an intriguing battle on the flank with both men statistically likely to play a key role in creating goalscoring opportunities. Naby Keita and Roberto Firmino got the goals at Anfield last week as the Reds extended their unbeaten run against Os Dragoes to seven games. Liverpool have never lost home or away against the Portuguese outfit and won 5-0 when they met in Porto in the Champions League Round of 16 last season. So, what can we expect from Sergio Conceicao's side this time around? What was the reaction in Portugal to the first leg result? Could have been better, could have been worse. A lot was made of the Moussa Marega chances and how an away goal would have changed the complexion of the tie, but the overall feeling is that Porto are still alive in the tie. 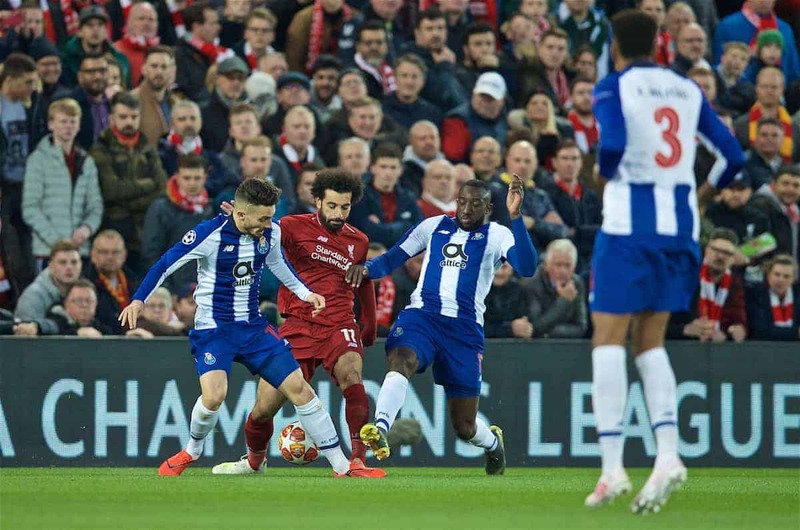 Like Liverpool, Porto are embroiled in a closely fought battle for the league title, what effect will this have on Wednesday's Champions League tie? I don't think it will have any effect, unless the tie's over by half-time, say, in which case Porto may opt to rest their most important players for the next league game. But I don't expect Porto to hold back, to be honest. Conceicao and his squad want to show that last year's humiliation was a one-off and there is not such a wide gap in quality between the two teams. 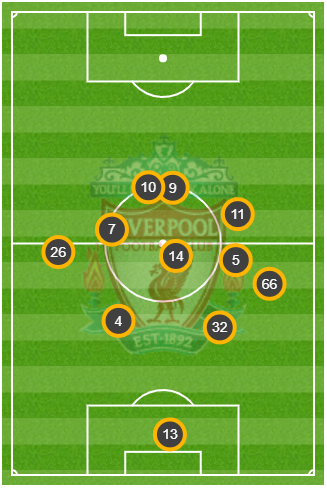 Can we expect a different Porto at home to the one we saw at Anfield in terms of tactics and personnel? A few changes yes, as Pepe and Hector Herrera are back from suspension and are likely to start. Eder Militao will move to right-back and Mexican winger Jesus Manuel Corona (fitness permitting - he picked up a knock at the weekend) will play as a genuine winger rather than a wing-back. I would also expect Yacine Brahimi to start as Porto will try to hit Liverpool with all they've got in the first 30 minutes, and Brahimi is Porto's most talented player. Which Porto player do you expect to give Liverpool the most problems? If Brahimi is on his game he can cause problems, and Corona is another tricky dribbler who can be very dangerous, but the number one dangerman has to be Malian striker Marega. He was ill in the first leg last Tuesday yet still managed to cause Liverpool's defence problems with his direct running and strength. 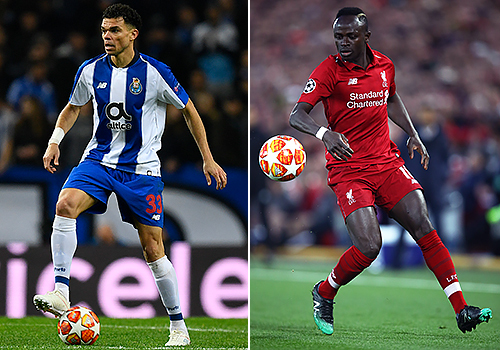 Which Liverpool player do Porto fear the most? Sadio Mane. He's been brilliant this season and his speed can cause real problems to Porto's backline. What is Porto's biggest strength and weakness? Their biggest strength, unusually for a Portuguese side, is their physical robustness. At set-pieces especially they could cause Liverpool problems with Pepe, Militao and Danilo Pereira all superb in the air and Marega and Francisco Soares also intimidating strikers from the physical point of view. The main weakness is - Militao apart - a lack of pace at the back, which could spell trouble against a Liverpool side who are brilliant and lightning quick on the counter. What have you made of Jürgen Klopp and Liverpool this season? More controlled and less fun to watch than last year's crazy gung-ho side, but probably a better and more solid team for it. How do you expect Porto to line up? What is your prediction for the match? 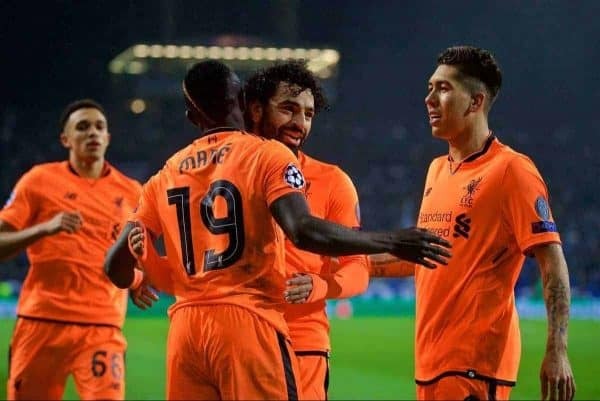 Liverpool will assure a place in the semi-finals of the Champions League if they can maintain their unbeaten record against FC Porto on Wednesday night. 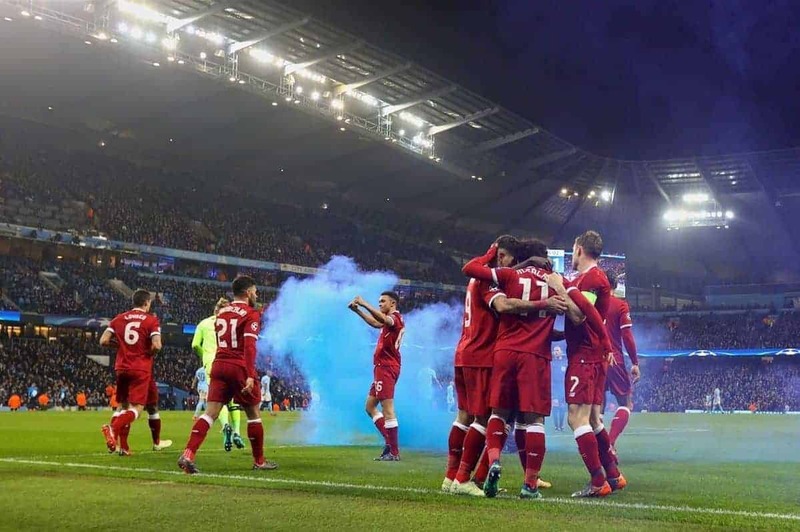 The Reds head to Estadio do Dragao with a 2-0 advantage from their quarter-final first leg at Anfield and have not lost in seven meetings with the Portuguese outfit. Liverpool have won four and drawn three of their clashes with Os Dragoes in all competitions and ran out 5-0 winners in Porto when they met in the last 16 of the Champions League last season. Liverpool have won 10 of their previous 14 European Cup quarter-finals, including four of the last five. In Portugal, the Reds have won three of 11 visits. Aside from Porto last season, the other two successes came in European Cup quarter-finals against Benfica in 1978 and 1984 - they went on to win the competition on both occasions. Jürgen Klopp has won 16 of 20 two-legged ties in European competition in his managerial career. He has never lost a two-legged tie as Liverpool manager in Europe, winning all nine. Roberto Firmino is the only player to have featured in all 37 of Klopp's European games in charge of the Reds. 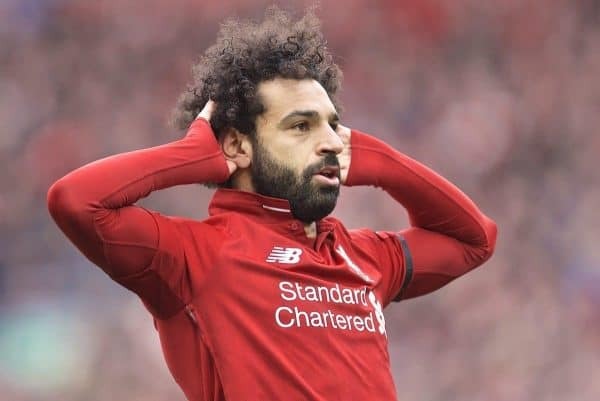 The Brazilian's goal in last week's meeting with Porto was his 15th in Europe for Liverpool, one more than Mohamed Salah and two more than Sadio Mane. Since the start of last season, only Cristiano Ronaldo has been involved in more Champions League goals than Firmino, who has had a hand in 21 (13 goals and eight assists). Only one Liverpool player has scored more European Cup goals for the club than Salah and Firmino's tally of 14 - Steven Gerrard, who has 30. Ian Rush also has 14 with Mane one goal further behind. Since his Champions League debut in September 2017, Alisson Becker has kept more clean sheets than any other goalkeeper in the competition, four of his nine coming with Liverpool and five with former club AS Roma. Porto have failed to score against Liverpool in the last three encounters. The Portuguese side have been drawn against English opposition on 19 previous occasions. At home they have won eight, with seven draws and four defeats - five of the draws have been goalless. The Reds captain picked up a knock to the ankle during the second half of the weekend win over Chelsea but quickly recovered to join the 21-man squad that travelled to Portugal on Tuesday afternoon. 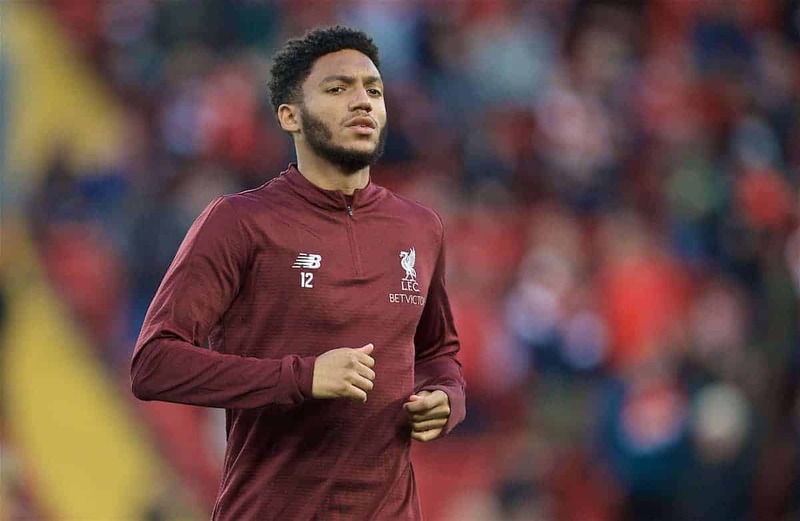 Joe Gomez and Adam Lallana were also among the players who made the journey, with the former an option again after clocking up an hour for Liverpool U23s on Sunday. “Absolutely [he looks strong],” explained the manager of Gomez. 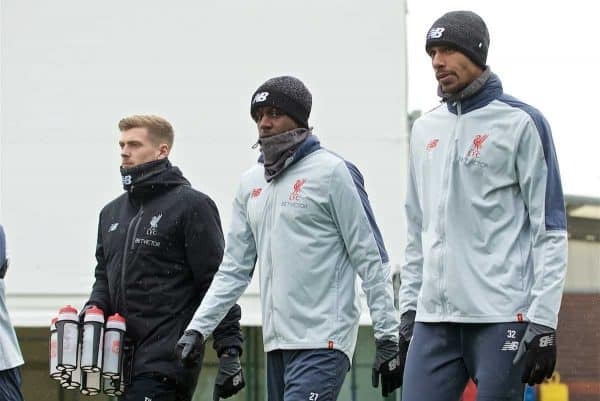 Illness ruled Dejan Lovren out of the trip, however, and Alex Oxlade-Chamberlain has remained at Melwood for additional fitness work as his recovery from long-term injury continues. Andy Robertson is available after sitting out the first leg due to a one-match ban. 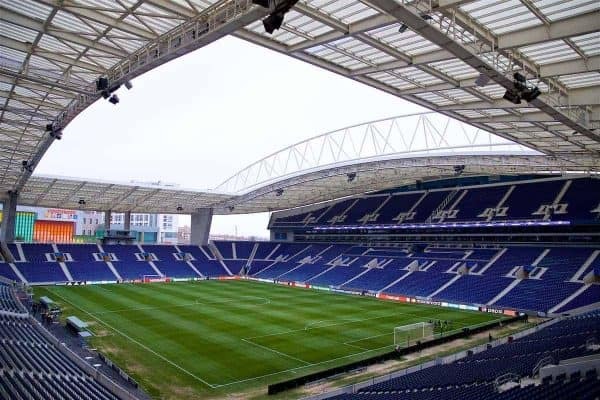 Like Robertson, centre-back Pepe and midfielder Hector Herrera missed last week’s game at Anfield due to suspension, but both are free to play for the hosts at the Dragao. “We have to work for defensive organisation and we are 100 per cent focused and aware of what our opponents are doing,” said Porto coach Sergio Conceicao. “It is not difficult to analyse Liverpool but it is difficult to counteract because they have so much individual and collective quality. Portimonense 0-3 Porto (April 13): Casillas, Manafa, Pepe, Militao, Telles, Corona, Herrera, Danilo, Brahimi, Marega, Soares. 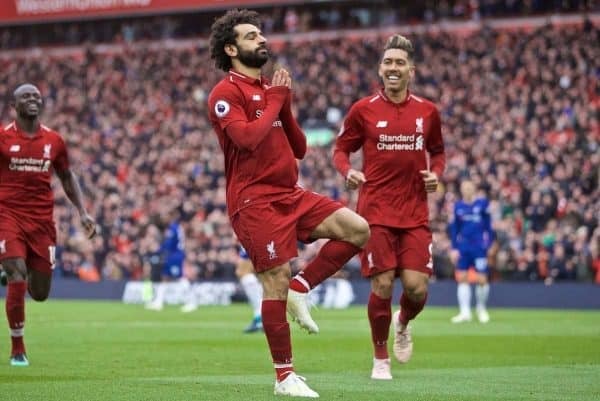 Liverpool 2-0 Chelsea (April 14): Alisson, Alexander-Arnold, Matip, Van Dijk, Robertson, Fabinho, Henderson, Keita, Salah, Mane, Firmino. Liverpool take a 2-0 lead with them to Porto on Wednesday, with Jurgen Klopp‘s men looking for a drama-free route into the Champions League semi-finals. What an extraordinary Reds side we are watching. Their level of consistency and quality is like nothing seen since the 1980s and they still have a chance of producing one of the greatest seasons in the club’s history. Sunday’s 2-0 victory over Chelsea was another seismic result in a thrilling campaign, responding to Man City admirably and returning to the Premier League summit. The big matches keep coming thick and fast, with Wednesday’s trip to Portugal the next chapter in Liverpool’s latest European journey. 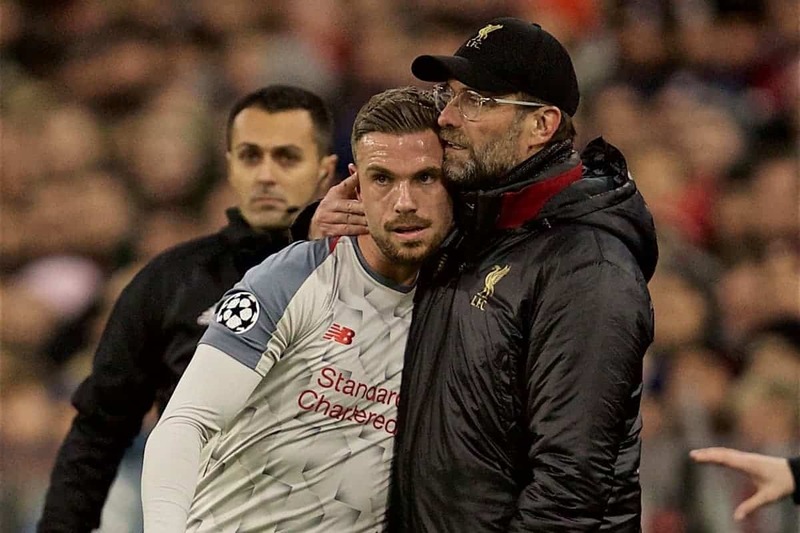 The win at Anfield last Tuesday felt relatively serene, but there is still work to do if Klopp’s men are to reach a third European semi-final in four seasons. 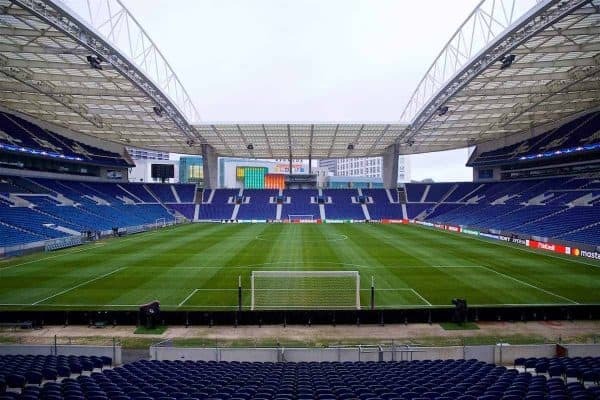 Porto will still be stinging from last season’s 5-0 humiliation at Estadio do Dragao and they should be a different proposition this time around. The Reds will likely have to fend off some early pressure from the hosts, but one away goal will leave them needing to score four, which would surely be too much. 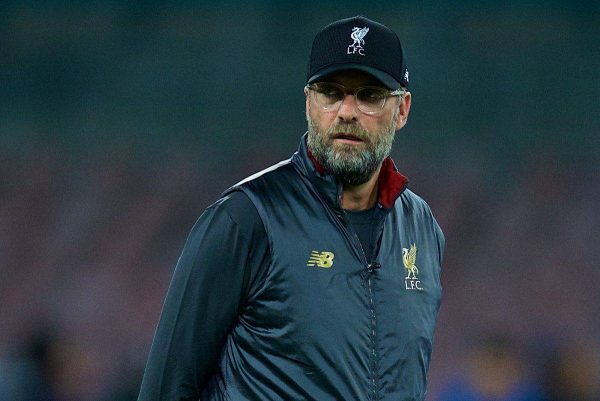 Liverpool go into the game as second-favourites to win the Champions League, outlining what a force they have become with Klopp at the helm. 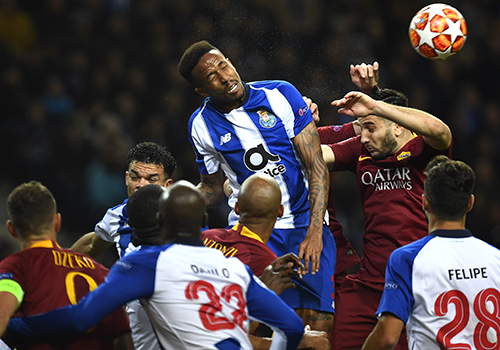 An exit at the hands of Porto would be a huge shock, and as long as sloppiness doesn’t creep in a mouthwatering semi-final meeting with either Barcelona or Man United should await later this month. The prospect of facing one of those two should be enough to keep Klopp and his players as focused as possible. Andy Robertson missed the first leg through suspension, but the left-back will return to the side on Wednesday evening. Dejan Lovren has not made the 21-man squad because of illness, as the centre-back’s constant unavailability continues to be an issue, but Adam Lallana returns. 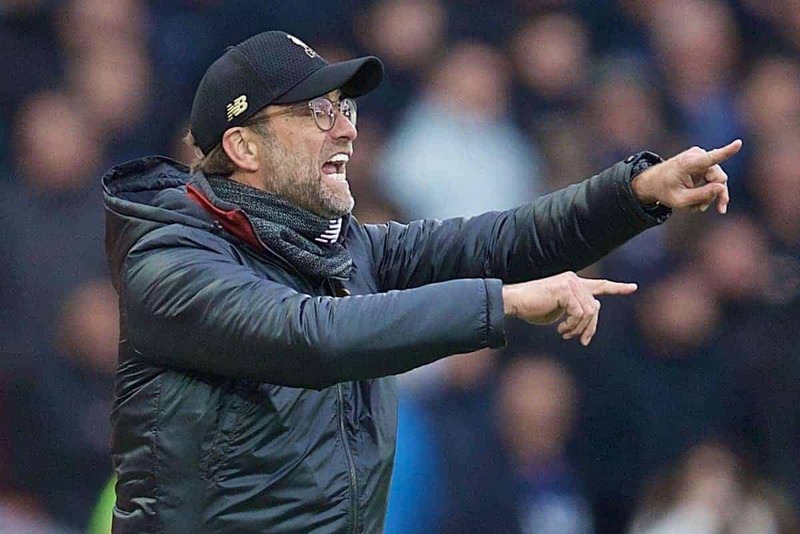 There are no other fitness concerns for Klopp, however, who may just think about rejigging his team slightly in order to keep his players fresh. James Milner is always an option at right-back if Trent Alexander-Arnold is given the night off, with the veteran’s versatility priceless. 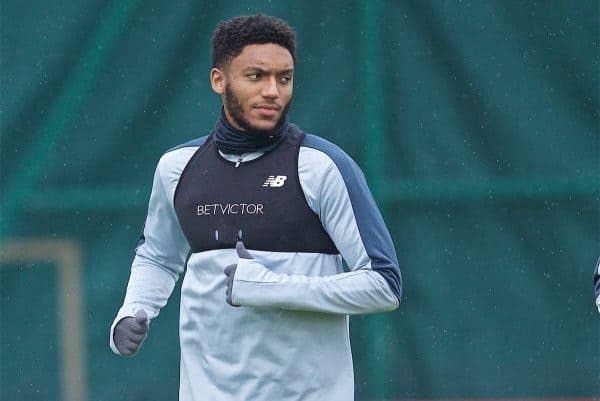 Or the fit-again Joe Gomez could even make a first appearance since December. 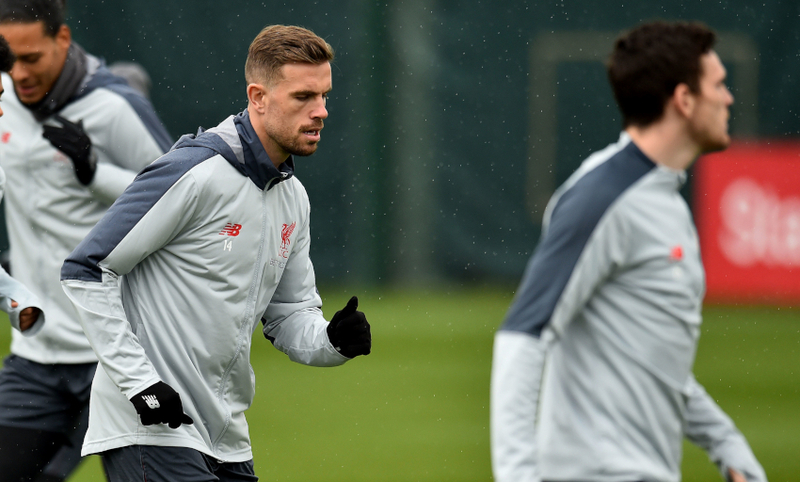 Gini Wijnaldum has been rested for the last two matches so it would be a surprise if he didn’t return to the fold, perhaps at the expense of Jordan Henderson. There is the option of leaving out one of Mohamed Salah, Sadio Mane and Roberto Firmino in order to ease their workload, risky though it may be. Divock Origi has been effective from the substitutes’ bench of late and could come in, with Xherdan Shaqiri also pushing for a rare start. Porto have no new injury problems from the first leg, but key duo Pepe and Hector Herrera are back after serving suspensions at Anfield. Liverpool made the trip to Estadio do Drago in February 2018 expecting a tough examination, in what was their first Champions League knockout tie since 2009. The Reds produced one of their most emphatic away European performances in history, however, on a special night for the travelling supporters. After seeing off some early pressure Mane fired his team in front, with the aid of some questionable goalkeeping from Jose Sa. Salah doubled the lead after reacting quickest from Milner’s post-struck shot, juggling the ball sublimely before tapping home. Mane got his second from a rebound early in the second half, following a blistering counter-attack, and Firmino made it 4-0 from Milner’s cross. It was left to Mane to put the icing on the cake late on, lashing home from distance to complete the rout and seal a memorable hat-trick. Liverpool have won their last seven games in all competitions since the frustrating goalless draw at Everton on March 3. At least one of Salah, Mane and Firmino has scored in every one of those games, as the Reds’ front three come alive at just the right time. Twelve of Liverpool’s 18 goals in that time have come from the trio, with Mane leading the way with six, Firmino bagging four and Salah getting the other two. The other scorers have been Naby Keita (two), Virgil van Dijk (one), Henderson (one), Milner (one) and Toby Alderweireld, who scored that glorious late own goal for Tottenham at Anfield. Porto vs. Liverpool is live on BT Sport 3 from 7.15pm (BST), with kickoff at Estadio do Dragao at 8pm. Ben Twelves is in charge of This is Anfield’s matchday live blog, bringing you pre-match content from 7.15pm and minute-by-minute updates during the game.